When I was in school I used to read a lot of Pearl.S.Buck's books. The Chinese stories always remained in my mind and so did the Chinese culture. I had built up a picture, in my mind, of how the farmers in China and their earth/villages looked. One of the first inputs I got as images was from The Last Emperor. The Last Emperor reinforced the images I had created when I read the Pearl.S.Buck's books. The Tiananmen square massacre broke the frame around the paintings I had created. Slowly the interest in China was relegated to the bottom of my mind as we moved from Ooty to Trivandrum and I struggled with ICSE and then ISC. By the time I had finished my battles I had acquired other interests. On Thursday, when I saw the book "Wild Swan" I was intrigued. Some of Pearl.S.Buck's books had talked about losing the children to the communist movement. Most of her works dealt with the time before the communist movement became strong. Wild Swan's blurb talked about the people who lived during the communist movement. I anticipated another trip into China but in a different period. So far I have not been disappointed. I have read Jung Chang's introduction to the book. The characters I used to imagine 20 years back have come out of China (I remember, in Buck's books, one character who had a western influence and the western country involved was US. I vaguely remember that one of the Chinese girls had fallen in love with an American in Shanghai - I do not remember whether she finally left for US or not). Jung's mother seemed to me like a character from Good Earth who has walked into London. But it seems to me that I miss a link somewhere. I miss the time after the communists became strong before they opened China up. The fears that Jung has expressed until now echoes the sentiments that Buck's books closed with. Hence the time when people lived under repression is a black box which Jung's book promises to fulfill. There were people who were communists and people who were against communists. What did they think ? How were their lives different from those of Buck's characters? The first chapter about her grandmother has started just where Pearl.S.Buck left off. Will the broken interest in China be glued together again by the Wild Swan ? Only time will tell and perhaps time will bring a book written by someone staying in China about the life in China. (lead to this by Alpha and Patrix). ... the Romanian Lady who was blond once. - but after a break since I am busy till Thursday :). As the fingers flew over the keyboard, I wondered whether the French player had Parkinson’s disease that helped him move them so fast. 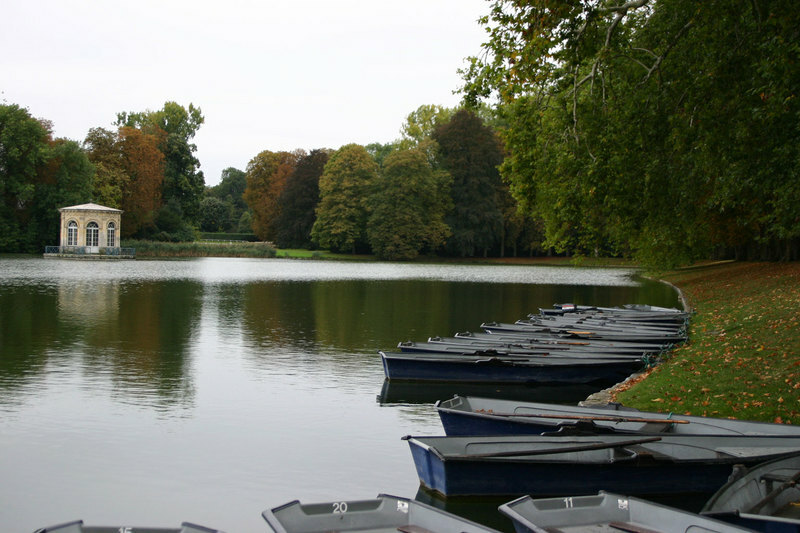 Sometimes I saw just vibrations in the air, instead of fingers, as he played the piece from Nikolai Kapustin “Acht Konzertetüden”, Nummer 6 “Pastoral”. It was a fitting finale to a lovely evening. We had come into a small chapel in a not so sleepy village in southern Germany at 18:45 Uhr. It was the first time the gifted software professionals were giving the concert without charging. The hall was full and overflowing. People tried to feel comfortable on the stairs. I greeted my friend, whom I had not seen for many months, with enthusiasm.With our current schedule my husband and I had decided to miss the chamber music given by my company's piano player. A voice mail from my friend made us change our mind. She, our life balance manager, was the one who had introduced us to this group around 3 years back. I smiled thoughtfully when I saw the star player of the evening, a Russian – “Ah great! She is back after maternity leave”. The “Jesus allein” (Jesus Alone) on the cross at the altar looked down at the eager faces and the Steinway Klavier. After finding places for everyone, the artists came to the piano one by one, sat reverently under the cross and began to draw out feelings from the piano. After Heinrich Scheidemann came Francis Poulenc’s Sextour für Klavier, Flüte, Klarinette, Fagott and Horn. As I my eyes were captured by Fagott*, which I had never heard or seen before, my ears were playing a dance to the sounds at the altar. Tatiana, the Russian lady, allowed her fingers to ballet over the keyboard while her body did a cake walk to Debussy’s music (Aus den Preludes, Band 2: General Lavine – excentric). Göns: One of the player composed his own piece. 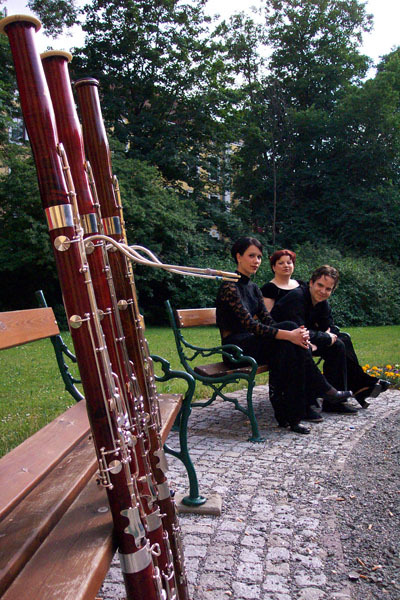 * Fagott = Bassoon and the photo is that of Fagott trio. Some areas of the poster below are changed to protect the identity of the players to world outside the sleepy town. I will post here in this site from Spring.